You know that old saying of “go where the customers are”? Eighty percent of Americans used some form of social media in 2017, according to Statista. So where should you be, if you aren’t already? According to the fifth edition of the Putnam Social Advisor Survey (2017), 86 percent of financial advisors who harnessed the power of social media for business gained new clients. And 83 percent said social media shortened the amount of time it takes to convert a prospect into a client. We all do the same thing these days: when we meet someone or are looking for a person in a certain industry, we go to social media sites to check them out. If you didn’t have a social presence, what would they think? Would they still want to work with you? Hootsuite, a social media management platform, dug through the data on social media last year and found that financial advisors prefer LinkedIn, using it mainly as a referral or research tool, but advisors post or converse more on Twitter. Twitter comprises 40 percent of all social content, while 28 percent is on Facebook and 18 percent on LinkedIn. The financial services industry tends to post the most during work hours. Wealthmanagement.com broke it down further, stating that Facebook posts see higher engagement on the weekends while Twitter and LinkedIn see better engagement from 5-7 pm weekdays. Instagram is also partial to evening hours. Which platforms should you use? As part of your social media strategy, define your brand and target markets. This will help you narrow which platforms would serve you best. Including photos with your posts has been shown to increase engagement on any platform. There are a lot of free sites, such as Pixabay where you can get stock photos. Use photos that look more realistic and less like a typical stock photo. Be your authentic self in your posts and share content that you know will be of interest to your clients. Prospects and clients want to get a sense of who you are from your social media posts. And no spamming your contact list or pitching products. No one likes to be pitched on social media. Many marketers recommend a 70/20/10 (lifestyle/industry/corporate) mix of content. However, a study by Hearsay Systems showed this mix didn’t work as well for financial services. Its study saw an ideal mix of 48/42/27 (lifestyle/corporate/industry). Make industry/corporate content appear more like lifestyle content by writing them as how-tos, what’s new, success stories or inspirational quotes. Share more lifestyle content, such as those obscure “holidays”. National Ice Cream Day! Save time by using technology to publish the right content at the right time. 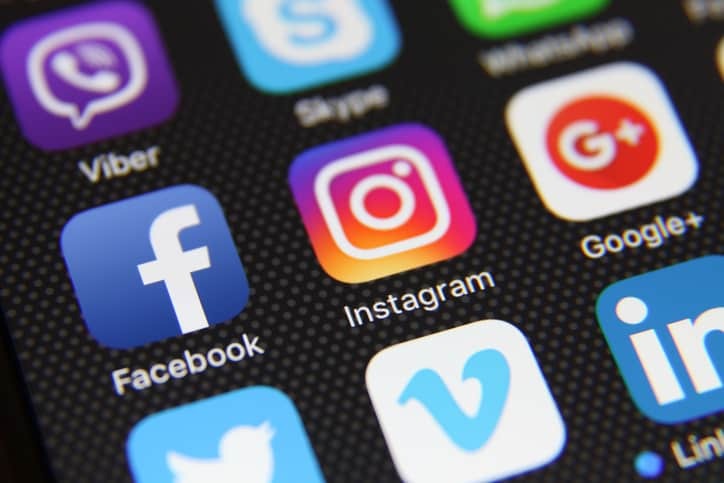 To stay in compliance, make sure to check out your company’s and governing bodies’ rules and regulations regarding financial advisors’’ use of social media. Pro Tip: Use a test-and-learn approach in your social media with everything from the dates/times you post to which platforms have the best return on investment of your time. What works and what doesn’t will continue to evolve as social media does too.